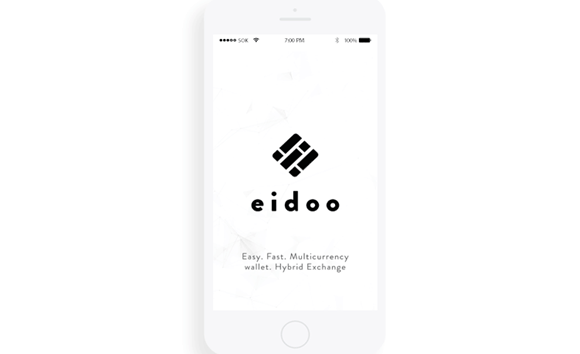 Eidoo.io is a multicurrency wallet developed by EIDOO SAGL, a company based in Chiasso, Switzerland. The company also offers a hybrid exchange too, via its mobile apps that are compatible with both Android and iOS devices. Eidoo’s goal is to build a blockchain to human interface in order to simplify the interaction between the blockchain and its users. They also try to make the complexity of the crypto currency world more understandable with their special focus on the user experience. Eidoo.io crypto currency wallet is only available for Android and iOS. Clients that want to access their wallet via a web browser can’t do that. A slightly negative aspect from that side, but considering that most of the people who are interested in the crypto currency industry have a smartphone, that is not an impediment. • Support for ethereum, bitcoin and all ERC20 coins, which are stored in the wallet with a single backup passphase. • All private keys are managed by the user and are encrypted on the device. • The Eidoo’s Recovery Tool offers a high security level. • Thanks to light architecture, no full node is required. • Hierarchical deterministic support, which means you can create sub-wallets in order to keep your main wallet address confidential. Eidoo.io tried to create a common ground for technologies that find it hard to cooperate due to different visions and have built a tool that manages different technologies via a unique user experience. Eidoo.io aims to create a friendly environment for people interested in crypto currencies, via apps that are designed to be user friendly. The currently have support for ethereum and ERC20 tokens. It terms of the negative aspects, they do not have at the moment support for bitcoin, but as the company claims, that will be done in the first quarter of 2018. Eidoo.io is a relatively new e-wallet that stores ethereum and ERC20 tokens. The company plans to extend its domain by including bitcoin support since Q1 2018, which is a good news for customers. 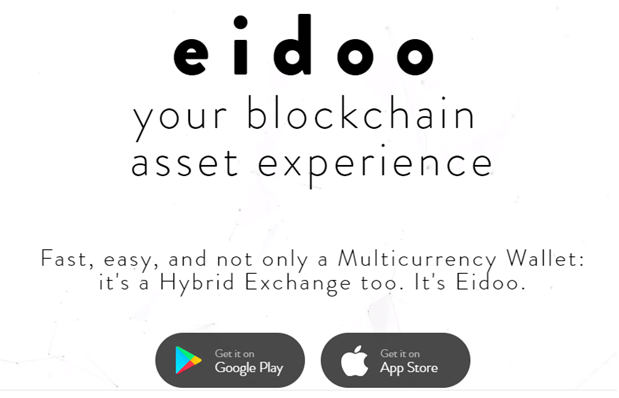 Summary: Eidoo.io is a multicurrency wallet developed by EIDOO SAGL, a company based in Chiasso, Switzerland. The company also offers a hybrid exchange too, via its mobile apps that are compatible with both Android and iOS devices. Eidoo’s goal is to build a blockchain to human interface in order to simplify the interaction between the blockchain and its users. They also try to make the complexity of the crypto currency world more understandable with their special focus on the user experience.